Bug-sniffing dogs found bedbugs at Montgomery County's Department of Health and Human Services last week. Offices at 401 Hungerford Ave. remain closed until June 2. WASHINGTON — It was a bedbug-sniffing canine that first detected the little bloodsuckers at a Montgomery County government building. 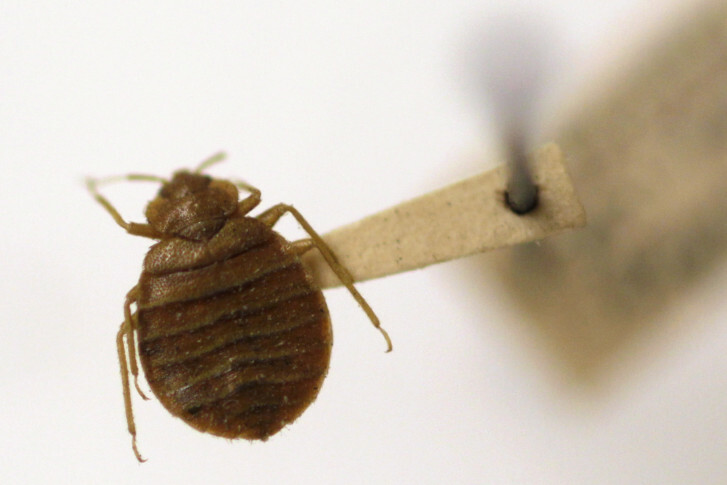 After an initial report on May 18, contractors used bug-sniffing dogs to check for bedbugs — and they found them at the county’s Department of Health and Human Services. After initial treatment of affected offices, several workers complained they were bitten by bedbugs and the entire building was treated on May 24. Concern about lingering odor from the treatments by staffers on May 26 led DHHS officials to find other locations for workers and Montgomery Community Media reported that Friday afternoon, workers got a briefing from their bosses on the issue. Following the briefing, county employees assigned to the 401 Hungerford Ave. offices in Rockville, Maryland were told the building will remain closed until June 2 and that they ought to keep in touch with their supervisors on their status. Some staffers are working from home, others have been assigned to work out of other government buildings.